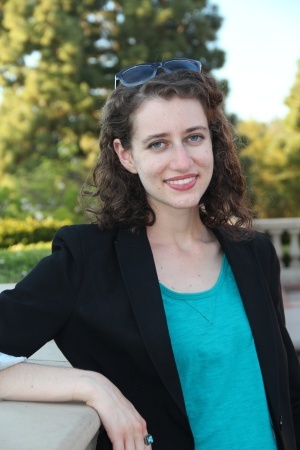 Natalie Chudnovsky is an associate producer for AirTalk. Prior to joining KPCC, she interned with KCRW’s "All Things Considered," helped out on the "Taboo Tales" podcast and developed ESL materials. She’s also written and done editorial work for publications such as TravelAge West, MovieMaker Magazine, Time Out LA and The Daily Bruin. Natalie graduated from UCLA with a Bachelors in English and an affinity for writing short stories. At any given time, she’s probably listening to a podcast, reading, writing or drinking tea (though not all at once). The new approach to improving race relations in Los Angeles: gathering strangers around the dinner table to talk it out. Before Waze and GPS, L.A. drivers relied on a different type of North Star, one that lived in almost every backseat or glove compartment. What do Harley-Davidson’s perfume, Bic’s pens “For Her” and Google Glass all have in common? They were total flops. And it’s also the reason they’re all on display at the new Museum of Failure exhibition at the Architecture and Design Museum in Downtown Los Angeles. How much can a $4 billion affordable housing bond do? On Monday, Gov. Jerry Brown and legislative leaders reached a deal on Senate Bill 3 from Senator Jim Beall (D-San Jose), which puts a $4 billion bond for affordable housing on the 2018 statewide ballot. Don McLeod came to LA to be a "suit performer," mostly acting as a gorilla in movies and commercials but it's his training in mime that led to a career as a living statue. As local ground forces supported by U.S. led airstrikes close in on two of the Islamic State’s urban holds, Raqqa in Syria and Mosul in Iraq, there’s growing concern over how the U.S. will approach ISIS’s strategy of using human shields. Rising sea level caused by climate change could destroy 31 to 67 percent of Southern California beaches, according to a paper published in the Journal of Geophysical Research. ​A bill introduced by six California legislators in February would prohibit state and local law enforcement from helping federal drug agents arrest and investigate marijuana license holders, effectively creating a sanctuary for the cannabis industry. The ethics of ‘Right-to-try’ in California – exploitation or hope? In 2017, California became one of 33 U.S. states to adopt a popular yet highly contested ‘right-to-try’ law. Right-to-try was created to allow terminally ill patients to try to access experimental therapies that haven’t been fully approved by the FDA. Kids might love having Alexa around to help with homework, set the alarm clock or tell them the weather – but what are the effects of these “smart” voice assistants on child development? From the slippery slope to the strawman, which logical fallacy do you encounter most often? If you allow your kids to stay up past their bedtime tonight, they’ll stay up late every night. Jordan Peele’s directorial debut “Get Out,” which takes on racism using the vehicle of horror-comedy, dominated the box office last weekend and racked up a nearly perfect score on Rotten Tomatoes.